Technology is a disruptive force in making people healthier, whether traditional stakeholders such as doctors, insurance companies, and pharmaceutical manufacturers are involved or not. To most effectively meet their customers’ needs, healthcare brands must embrace and explore new partnerships with the healthcare technology that their customers are engaged in. Instead of creating expensive new apps or engagement platforms that are unsustainable, brands should instead become their customers’ digital partner and curate the most useful technology for them. If keeping people healthy is the end goal for healthcare brands, why not make customers aware of the many available digital tools they can use? For example, a 2011 study in the International Journal of Obesity found that recording weight on a daily basis helps subjects maintain their weight. There are dozens of wearable devices that do some form of health tracking. The iPhone 5s has always-on activity tracking in the hands of tens of millions of users, and both Google and Apple are working on centralized biometric data platforms. Nintendo is creating a new health “quality of life” platform. Intel just made a $100 million investment in wearables by buying Basis. Platforms like Myfitnesspal (40 million users) and RunKeeper (23 million users) track diet and various forms of exercise and have built-in social networking and leaderboards. Being a digital partner to patients also means finding consumer-friendly workarounds for common problems. For example, Kaiser Permanente is piloting a HouseCalls program, where patients can book videoconferencing appointments with providers in lieu of taking off from work. Instead of getting a pulse reading, Kaiser doctors ask patients to hold their hand to their wrist and count, and they ask patients to walk around the room on video to detect pain or shortness of breath. If your organization doesn’t have Kaiser’s resources, take a cue from One Medical Group, which has been a pioneer on Google Helpouts, a HIPAA-compliant videoconferencing platform that handles billing and is now open for anyone to sign up. On the social networking side, several payers are exploring innovative partnerships with patient communities to improve outcomes while also lowering costs. Aetna is sending its members to PatientsLikeMe, Cigna is partnering with MyFitnessPal, and CDPHP is incentivizing its members with gift cards to use Cafewell. Driving patients into widely adopted platforms is also a way for them to future-proof their personal health data. The Application Programming Interface (API) tools to safely upload patient-generated health and biometric data from the Fitbits and Withings scales of the world to some Electronic Health Records (EHRs) already exist. At this moment, very few providers are ready to use the data in any meaningful way, but they will someday. When that day comes, patients who already have years’ worth of weight, activity, and diet data accumulated will have a head start. There are already 97,000 health apps out there, and even more health websites and platforms. But there are still gaps in the areas of personalized content and integration with EHRs. According to a MobiHealthNews study, healthcare apps can offer a unique service if they provide access to appointment booking, PHI (personal health information), and Rx refills and enable HIPAA-compliant telehealth, messaging, or billpay. Most healthcare providers are at the mercy of their EHR vendor and IT department for those features. On top of that, almost half of hospitals are planning on switching EHR vendors by 2016, so any apps would have to be redone. For payers or pharmaceutical companies eager to add value for their customers, personalized integration with a patient’s health records can be a fragmented, frustrating mess. True EHR interoperability isn’t happening until at least 2017, meaning that an adherence app that works for diabetes patients in Detroit’s health system might have totally different technical requirements for patients in a different health system in Southern California. The dream of delivering the right information to the right patient at the right time is limited to partnerships with the right health systems with advanced EHR capabilities, like Kaiser Permanente or Geisinger Health System. If your brand can find innovative ways to fill these gaps, then creating something new is worth it. 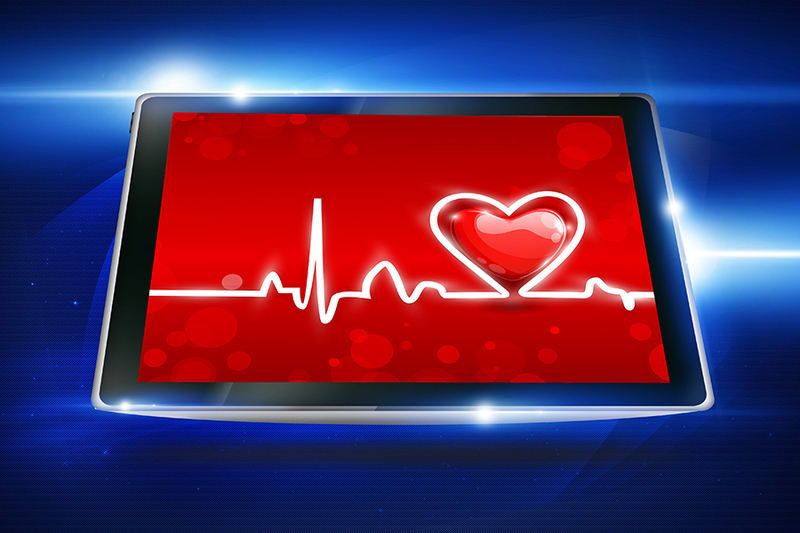 As both patients and brands are discovering, eHealth has incredible potential, but it’s messy. Guiding patients on a path to digital health literacy can contribute to better outcomes and help inform future technology decisions for brands. By being their patients’ digital health partner, brands have a real opportunity to provide value and earn trust.